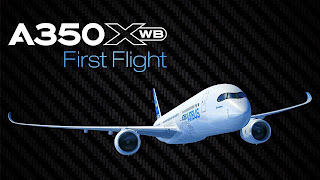 4 out of 5 787-10 Launch-Customers are also A350 XWB customers. None of the Persian Gulf carriers is part of the launch group. 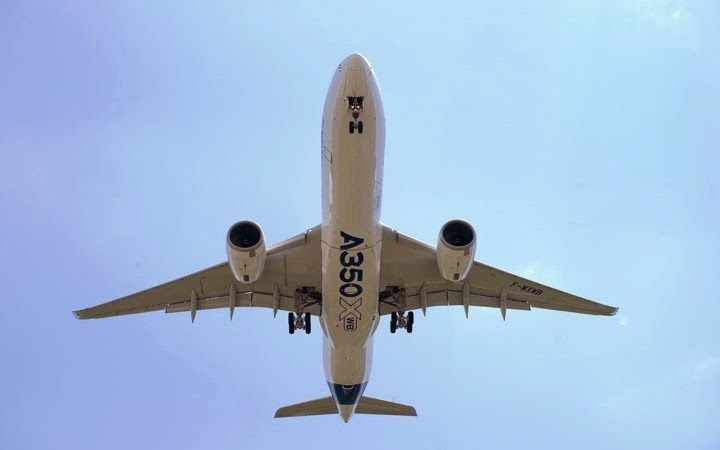 As Airbus moves closer to introducing the A350, Boeing is further broadening its widebody offering in the medium-large twin segment. 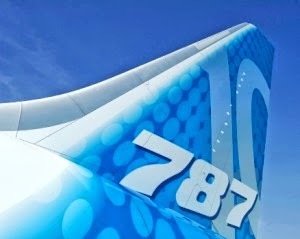 The long-anticipated 787-10 launch comes on the heels of 102 orders from 5 customers. 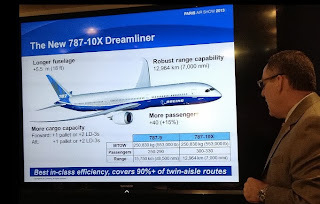 Scott Fancher, Boeing Commercial Airplanes vice president and general manager for airplane development, said at Paris Air Show that launch of the proposed 777X is also “rapidly approaching,” perhaps by year-end. 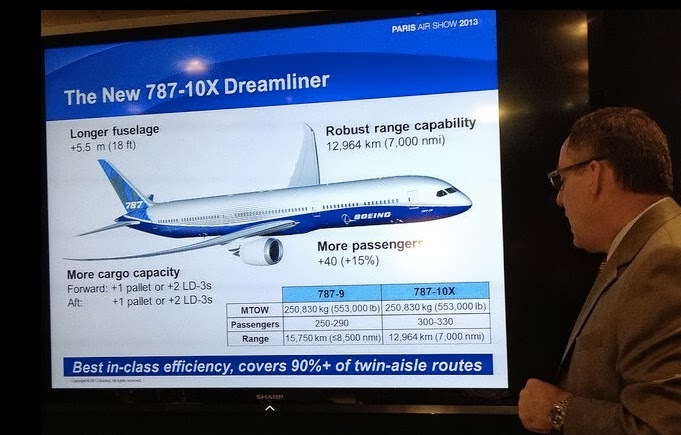 The first 787-10, the largest of the three 787 versions, is to be delivered in 2018. Among the customers launching the program are Air Lease Corp. (30 aircraft), Singapore Airlines (30), United Airlines (20), British Airways (12) and GE Capital Aviation Services –Gecas- (10). 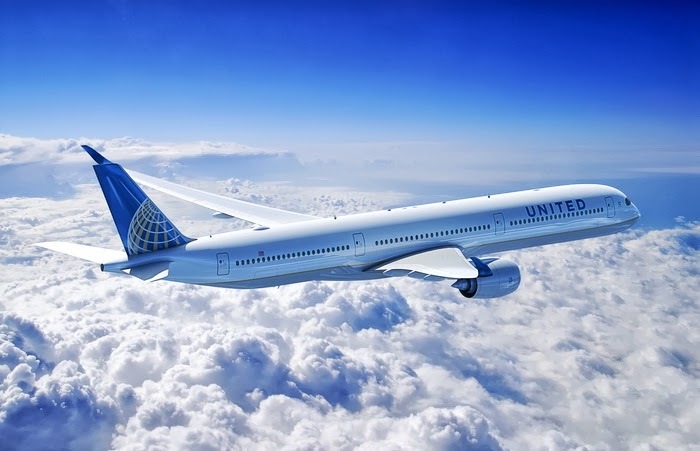 These are all new commitments, except 10 of the 20 United aircraft, rolled over from a previous 787 order and converted into the larger version. 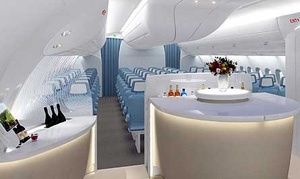 The 787-10 is a 18-ft. stretch of the -9, allowing room for 40 more seats; Boeing says it will accommodate 300-330 passengers and have a range of 7,000 nm. Final assembly and flight tests are both to begin in 2017, with first delivery scheduled for 2018. There have been concerns that, as a double-stretch of the original design, the -10's range might be insufficient for many carriers. And interestingly, none of the otherwise eagerly investing Persian Gulf carriers is part of the launch group—many of their routes are too long for the aircraft. 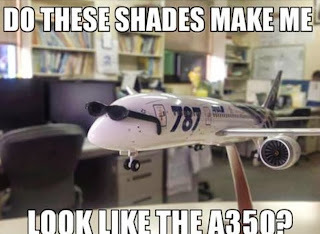 But the increased range and slightly higher maximum takeoff weight of 553,000 lb. 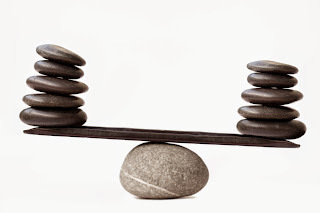 seem to have assuaged concerns. Reinforcements in the wing-to-body attachment area and on the landing gear were needed to accommodate the increased weight. Engine thrust will also be slightly higher than originally planned. 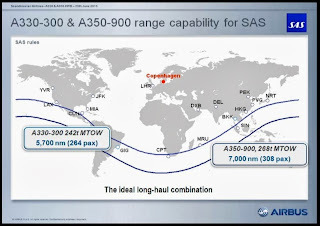 “The range covers 97% of the widebody city pairs of the world,” Air Lease Corp. (ALC) Chairman/CEO Steven Udvar-Hazy points out. 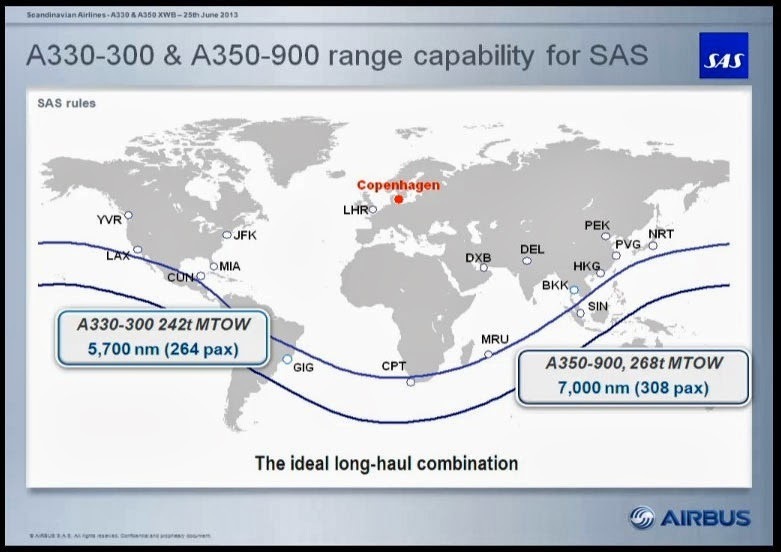 Its range will be 1,500 nm less than the -9's. 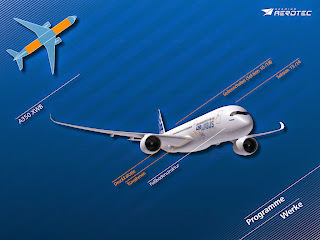 Based on the article “Boeing Launches 787-10 As A350 Enters Flight Tests” published in Aviation Week. 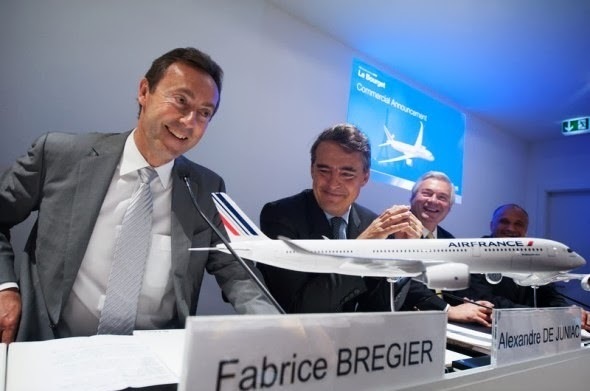 Air France-KLM finally signs the order for 25 A350-900 announced 2 years ago and includes further 25 options after reaching an agreement with Rolls Royce. 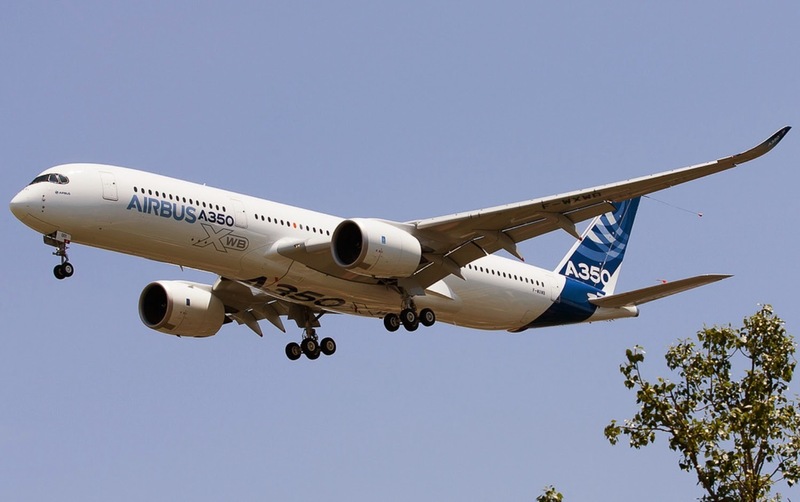 Airbus sealed a long-awaited order for 25 A350-900 aircraft from Air France-KLM worth $7.2 billion at list prices after Rolls-Royce and the airline reached a deal over engine maintenance. 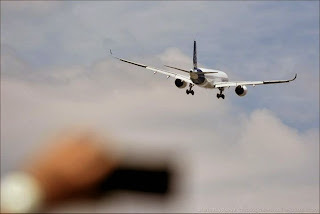 The airline also took a further 25 options on the planes, the companies said at the Paris AirShow. 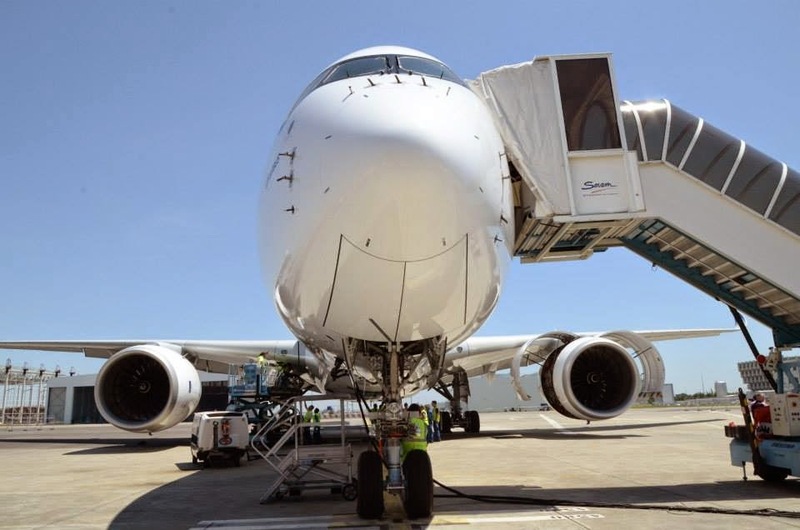 Air France-KLM has been at loggerheads with suppliers over issues mainly including maintenance of the plane's Rolls-Royce engines ever since the deal was first mooted in 2011. 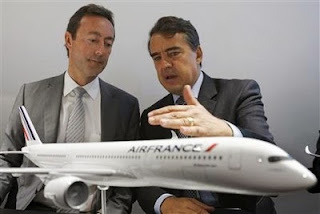 Air France and Rolls had clashed over conflicting ideas for engine supply deals. 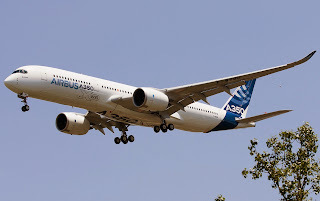 The airline said in Le Bourget, however, that it had signed a memorandum of understanding with Rolls-Royce to equip the A350s with Trent XWB engines, including their maintenance by Air France Industries KLM Engineering & Maintenance. 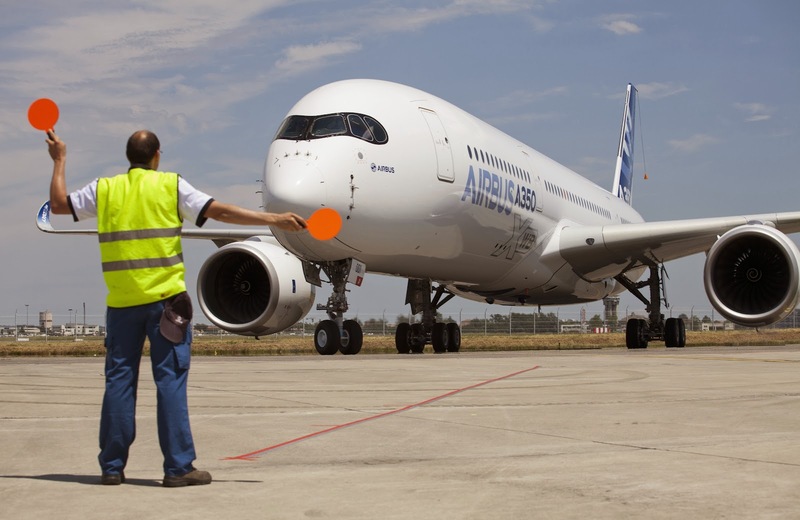 Rolls said the deal to power the 25 A350s was worth $1.1 billion at list prices. Air France traditionally orders engines from Rolls' U.S. rival General Electric, but the A350 is powered exclusively by Rolls-Royce Trent XWB engines. Air France-KLM is seeking to lower costs by cutting jobs and restructuring its network as it aims to return to profit and cut debt by 2 billion euros by the end of next year. It faces soaring fuel costs, a worsening cargo business and tough competition from Gulf and low-cost carriers. "This shows that despite some difficulties Air France-KLM is facing, we are in sufficiently good shape to be able to plan the renewal of our long-haul fleet," said Alexandre de Juniac, who is due to become Air France-KLM chief executive from July 1. 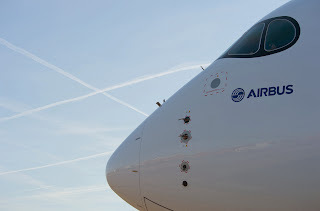 Air France-KLM currently operates a fleet of just over 190 Airbus aircraft. Rotating the test crew in the 2nd flight and increasing the confidence in the 3rd long-flight test. Fernando Alonso was replaced by Didier Ronceray (who was on the telemetry room on the first flight). 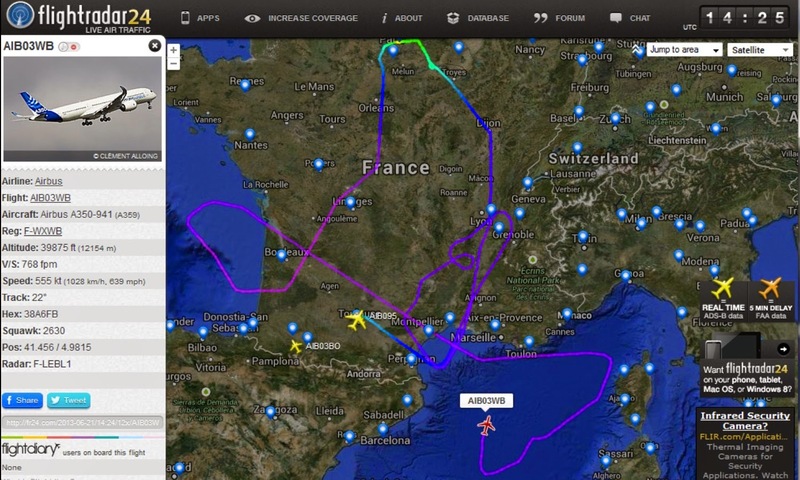 Airbus is rotating their test pilots&engineers around even from second flight. 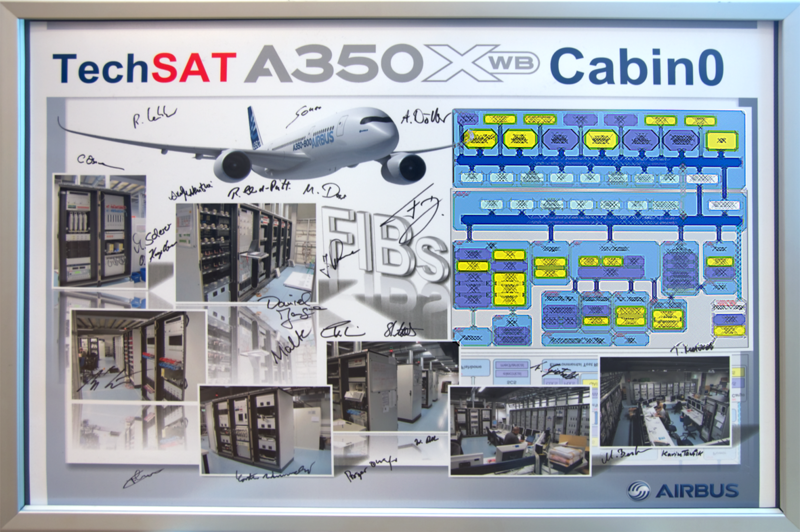 The team that will fly the A350 flight test aircraft fleet (5 planes) is composed by more than 20 members. The confidence of the test crew is increasing as the parachutes, helmets and orange flightsuits were not worn for the 3rd flight. Once again, the crew was changed for this flight; Guy Magrin came back, joining Peter Chandler and Pascal Verneau in the flight deck. 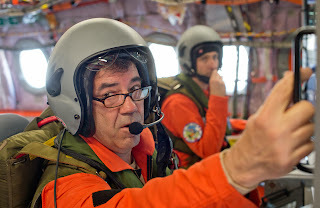 The flight test engineers consisted of Emanuele Costanzo (engine test engineer who also flew on the 1st and 2nd flights), Didier Ronceray (who flew on the second flight) and Tuan Do. 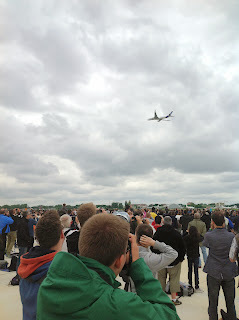 In the3rd flight, the MSN001 is over-flying the 50 th edition of the París Air Show. French President Hollande is attending today, the first public day of the show and he will be the witness of this milestone. 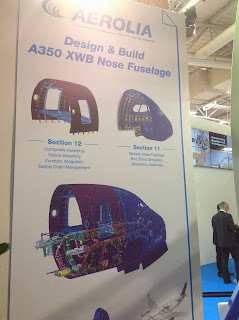 A350 XWB Centre fuselage section for Fatigue Test shipped to the Test-house. The centre fuselage for the fatigue test specimen -which must survive 86.400 simulated flights- has arrived at IABG in Erding. Two semiwings are scheduled to arrive at Erding by the end of June to start the join-up in July. First tests are planned for early 2014. 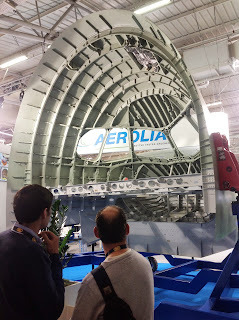 The Beluga brought the centre fuselage from St.Nazaire to the Munich airport and from there, a special heavy truck shipped the fuselage section to Erding. 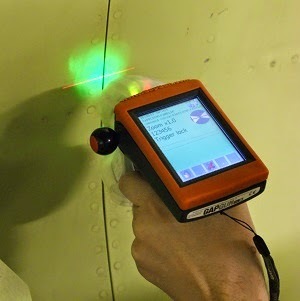 According to IABG, the objective of structural testing is "to proof the strength, fatigue and damage tolerance of aircraft primary structure, which is almost completely made by composite materials". 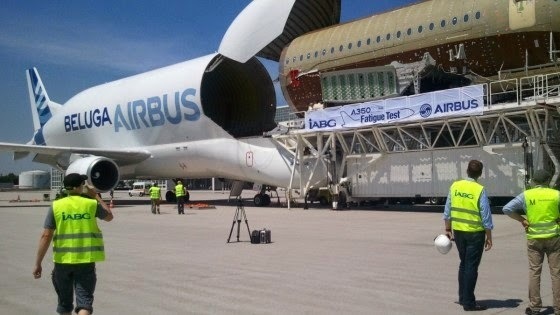 In the test, all loads occurring in the flight operations are simulated. 86.400 flights are 3 times of the intended service-life. The fuselage join of the MSN2 progresses as scheduled in the FAL. In Toulouse Final Assembly Line, work continues on MSN2 on which cabin modules have been delivered the first week of June. 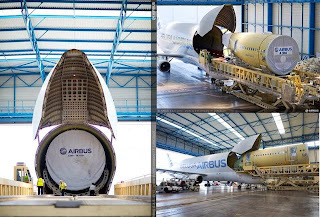 After the fuselage sections arrival, join-up started last week and the test installation of the Cockpit Door Module and of a zone 1 galley (next to the cockpit) was also successfully conducted. 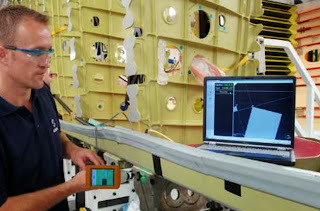 This is the first time fit-checks have been done so early, thanks to a very good work upstream with Cabin 0 and PMU (Physical Mock Up) teams in Hamburg and with interior suppliers. Indeed, if cabin activity is just starting on the test aircraft, a lot of work has already been done on scale 1 mockups in Toulouse and Hamburg, as well as on other cabin pre-validation tools developed by Airbus and its suppliers. He described last week’s first flight as being “totally uneventful” and “a little bit boring,” when he presented the first details on the opening day of the Paris Air Show. The maiden voyage actually took five minutes longer than planned (4h. 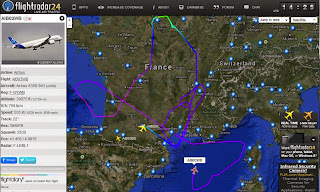 + 5min), but that was because French air traffic control sent the aircraft into a holding pattern before it was handed over from the Bordeaux to the Toulouse-Blagnac ATC center. The aircraft initially climbed to 10,000 ft. in 8 min. 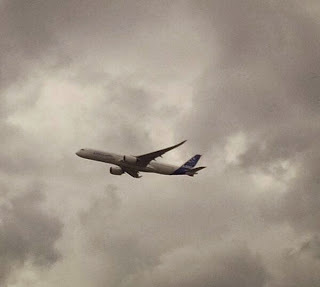 and remained in the 10,000-15,000 ft. range for 2 hours and 48 minutes. During that time, the crew tested various configurations of the aircraft initially in the most basic version of direct control law, but eventually switched to normal law. 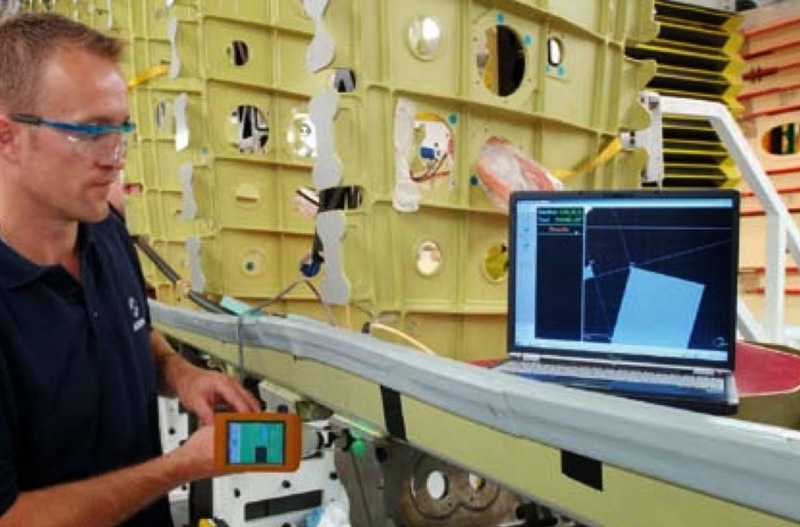 Similar tests were performed in normal law after around 90 minutes with data being checked against calculated models through telemetry. 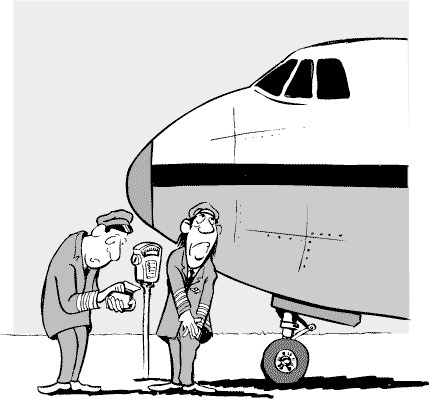 “2 hours after take-off we were in normal law with all configurations cleared”. 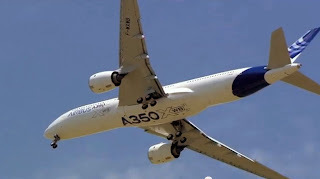 The only glitch during the first flight involved pressurization, but it only happened because of a programming mistake. Cabin pressure started to go down because the computer was assuming the aircraft was landing after 45 minutes as initially programmed. “We then entered New York as a destination and the pressure came back up again,” Alonso said. The crew took the aircraft to 25,000 ft. in normal law and cleared several configurations in normal and direct law before engaging the autopilot for the last 5 minutes of the cruise flight. The descent was also initiated in autopilot and autothrust mode and the crew tested buffeting effects. Back at 10,000 ft., an approach was simulated in full landing configuration, including a flare. Chandler and Magrin also went through a go-around procedure and decelerated down to a stall warning. While the 2 had built in some margin on take-off speed, they took out that margin on landing and used brakes, reversers and spoilers as they would in routine operations. According to Alonso, performance and fuel-burn tests only start in earnest in the coming weeks; first-flight data is not meaningful because of all the configuration changes and the protracted flight time with the landing gear extended. 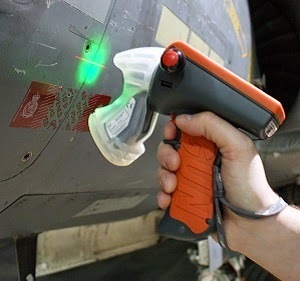 EADS restructures Premium Aerotec to force an “intensive” cost review by 2015 in order to revisit the plans for a sale. 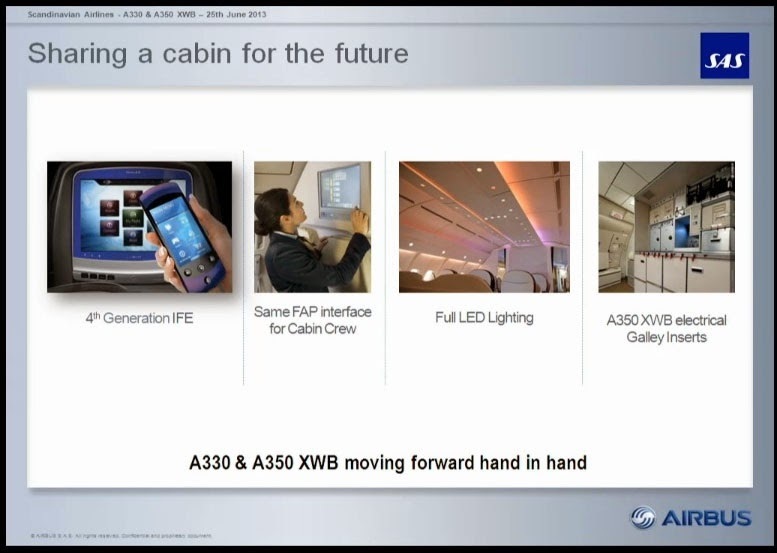 No effect on the A350 XWB output. 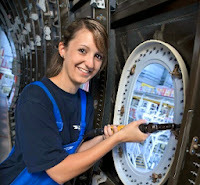 EADS plans to accelerate cost cuts at one of its main in-house suppliers with the help of new management. Premium Aerotec, which Airbus and EADS created in 2009 from German factories that they failed to sell, will seek new leadership after Chief Executive Officer Kai Horten and Chief Financial Officer Helmut Kretschmer were dismissed, according to a statement. The unit will also review the number of external workers and reduce its network of suppliers, it said. 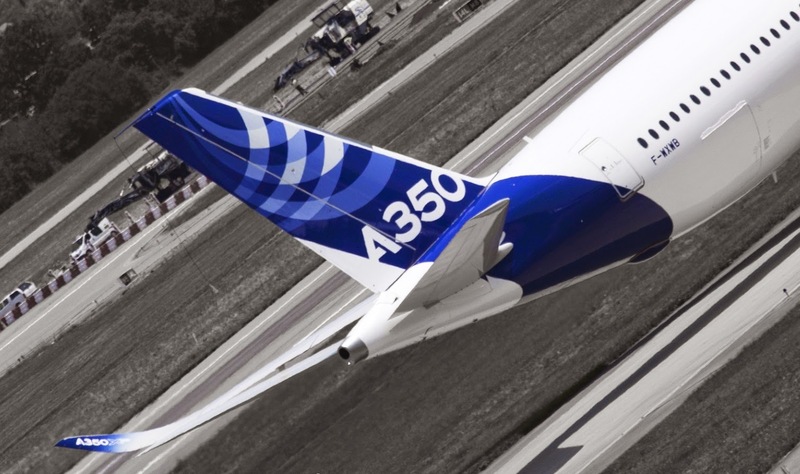 “Regaining the company’s productivity is essential,” said Gunter Butschek, the Airbus chief operating officer and Premium Aerotec chairman. The aim for Premium Aerotec is to reach positive free cash flow as it undergoes an “intensive” cost review by 2015, according to the release. 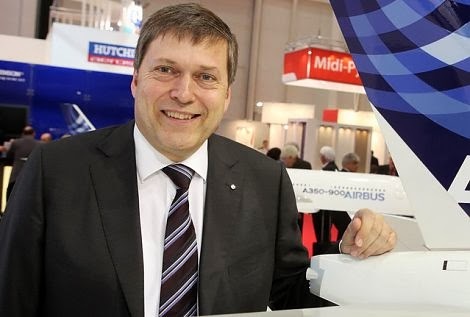 EADS CEO Tom Enders, who previously ran Airbus, has pushed for savings at subsidiaries including the Cassidian defense unit, as he seeks to bring profitability in line with output. 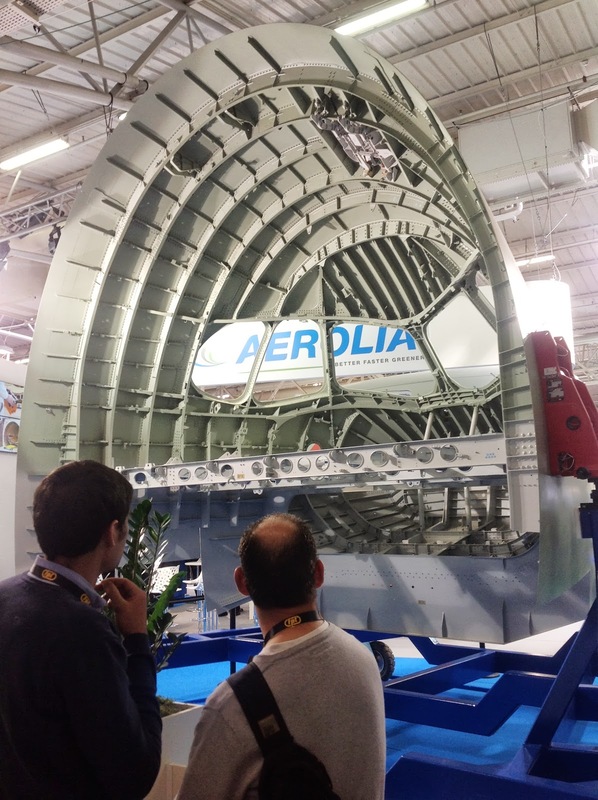 Premium Aerotec, with sales of 1.5 billion euros in 2012, makes metal and carbon-fiber structures and equipment for Airbus, and Enders has said suppliers’ health is key to help Airbus lift production. 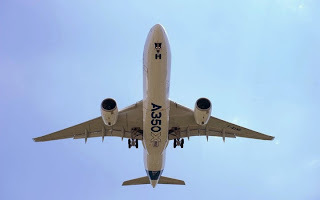 The restructuring will have no effect on the A350 program or on EADS’s financial performance, spokesman Rainer Ohler said. Airbus CEO Fabrice Bregier announced an overhaul at Airbus last year under Butschek’s supervision, entrusting middle management at the planemaker with more authority to make investment decisions without needing approval from headquarters. 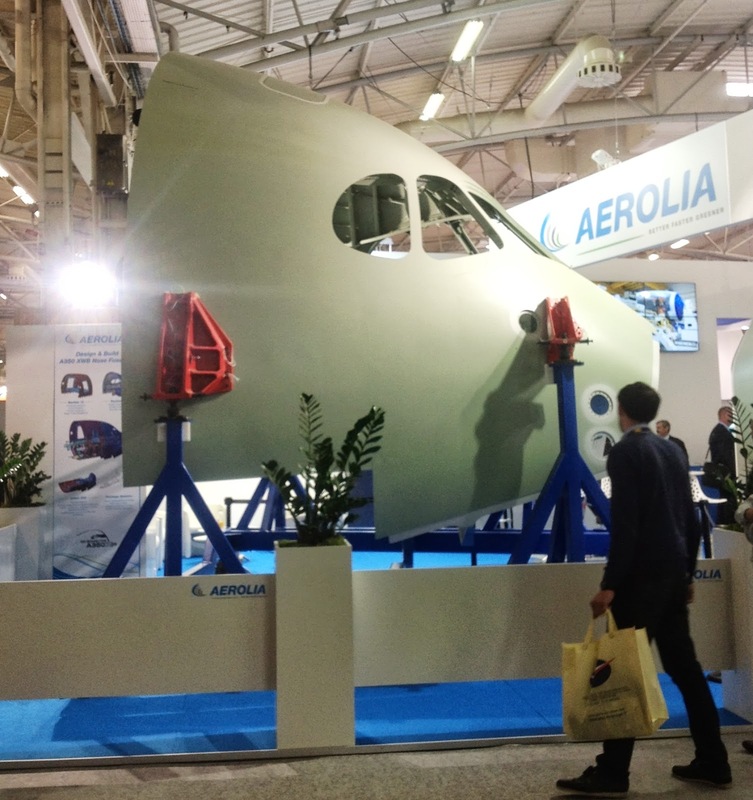 When Premium Aerotec was created in 2009, EADS had sought to separate the business from the parent and prepare it for an eventual sale as Airbus aimed to trim risk by sharing it with suppliers. EADS has said it would revisit the plans for a sale once it has made certain a change of ownership won’t disrupt output of the A350. 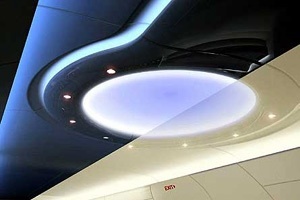 Premium Aerotec Also manufactures the pressure bulkhead of the Boeing 787. Boeing schedules impressive 787 flight-display at Paris Air Show. 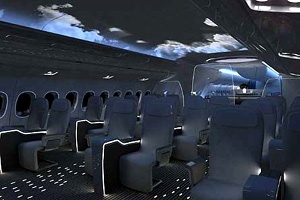 Boeing will try to avoid talking about the 111 days grounding of all 50 787 aircraft delivered to many airlines and for that purpose, they have prepared an spectacular flight-display for professional-days of the Air Show. 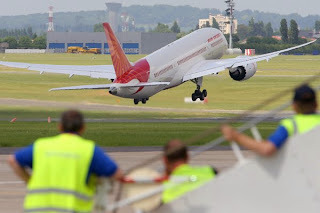 There will be not 1 Dreamliner in Le Bourget but there will be 2 787s; one 787 (Air India) will perform daily flying displays from Monday through Friday, while the other – a Qatar Airways 787 – will be on static display. Additionaly, on Monday 17/June and Tuesday 18/June there will be two press conferences at 10:00 in the morning. Boeing Commercial Airplanes President and CEO Ray Conner will assess current industry and market conditions and provide an update on Boeing commercial airplane products and services, development programs and product investments. 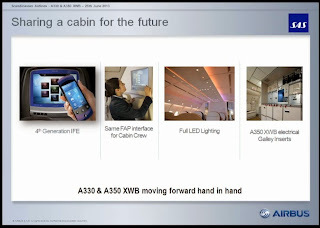 Scott Fancher, vice president and general manager of Airplane Development for Boeing Commercial Airplanes, will provide an overview of Boeing's twin-aisle strategy to meet future market requirements as well as an update of development progress on the 787-9, 787-10X and 777X. 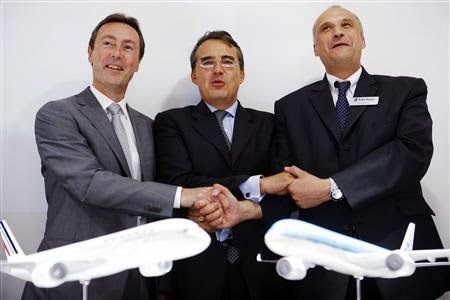 Airbus, Rolls Royce and Air France negotiating an agreement concerning the long waited order for 25 A350´s the week before Le Bourget. 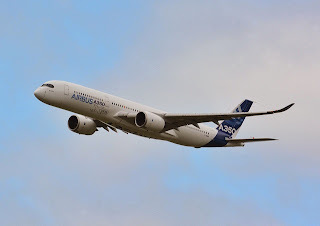 French national carrier Air France said it is still in negotiations with Rolls Royce over the terms of a maintenance contract for the engines on the 25 A350 XWB airliners that it plans to buy. Air France, signed a memorandum of understanding for the airplanes worth more than EUR7 billion at list price two years ago. 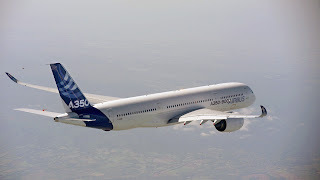 But the signature of the firm contract with Airbus has been held up pending the conclusion of the negotiations with Rolls-Royce. 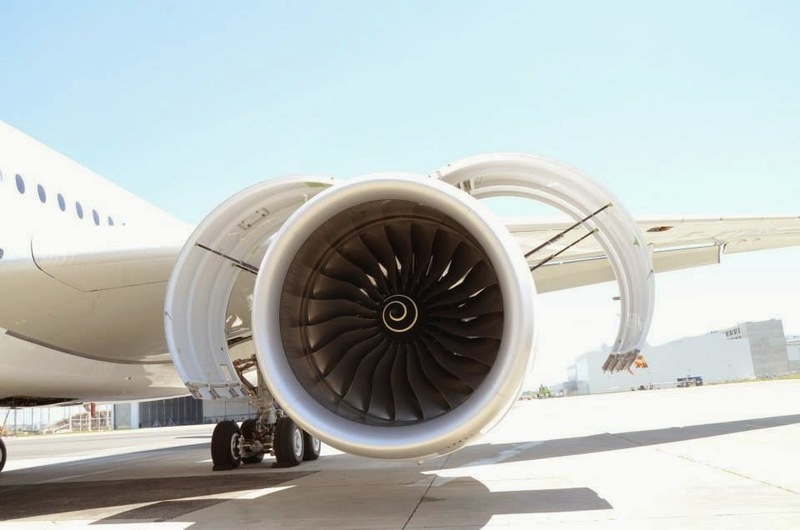 Air France, which has a growing maintenance activity, wants approval from Rolls Royce to carry out overhaul and maintenance on the Rolls Royce XWB engines on its aircraft as well as those of customers of its Air France Services maintenance subsidiary. Although an Air France spokesman said that "The contract will only be signed when the negotiations are concluded." It is seem that next week in Le Bourget the final agreement between 3 parties (Air France – Airbus – Rolls Royce) will be presented, with the signature of the firm order, after a week of negotiations in Paris. 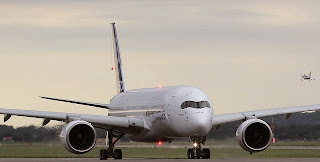 For the time being, Air France-KLM´s priority –due to cash problems- is to delay as long as possible the payment of a deposit. 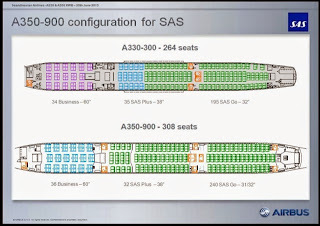 Before committing, Air France has asked to Airbus more details regarding A350-1000, including free slots available. 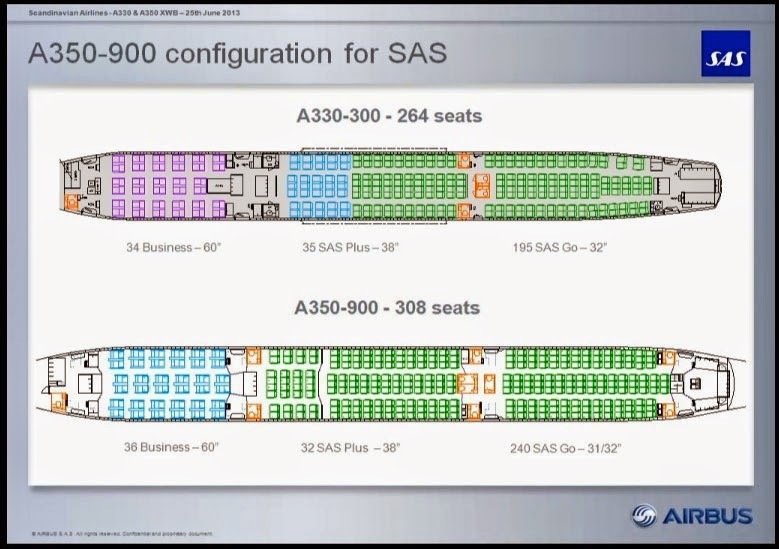 Air France could convert part of its A350-1000 options into A350-900s. 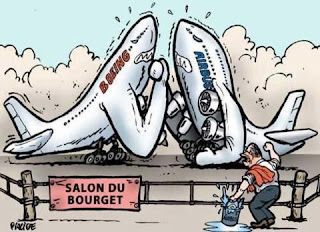 Based on the article “Air France-KLM finaliserait sa commande d’A350 au salon du Bourget” published in Les Echos.